Imogen's Typewriter. 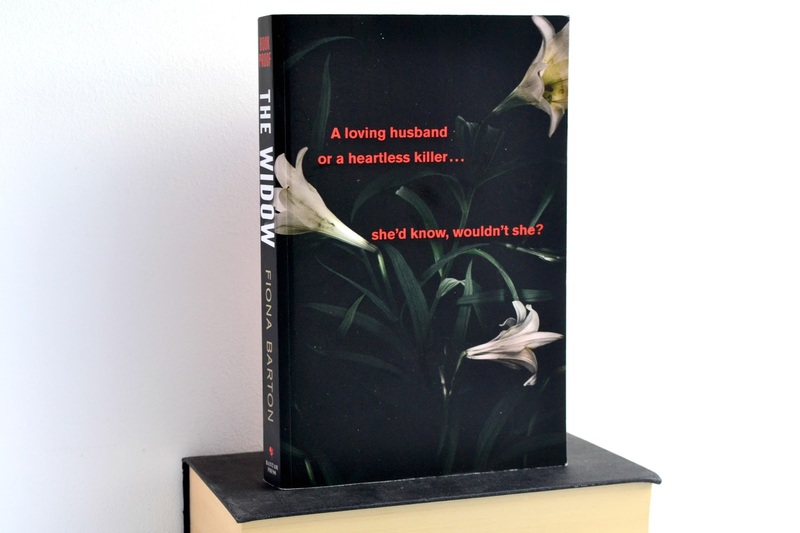 : Book Review: The Widow by Fiona Barton! Book Review: The Widow by Fiona Barton! I've got a book review for you today that has sprung out of my mind, through my fingers and into this blog post in barely any time at all. I've mentioned it before when I took it to Germany but I didn't get around to reading it until a couple weeks ago when I picked it up and flew through it in days. Apologies for the proof copy photo! We've all seen him: the man - the monster - staring from the front page of every newspaper, accused of a terrible crime. But what about her: the woman who grips his arm on the courtroom stairs – the wife who stands by him? Jean Taylor’s life was blissfully ordinary. Nice house, nice husband. Glen was all she’d ever wanted: her Prince Charming. Until he became that man accused, that monster on the front page. Jean was married to a man everyone thought capable of unimaginable evil. But now Glen is dead and she’s alone for the first time, free to tell her story on her own terms. I have a pretty unsure relationship with this book. On one hand, I don't think I've ever read a book focusing on the wife of a potential murderer, as most books focus on the person that did the crime. I've always questioned people who can stay with their partners after something like that so reading about it was a way of seeing at least one reason why someone would. I'm writing a cosy crime novel with a journalism aspect so it was really interesting to read some of the more insider details from an author who knows that world. If journalism interests you, especially interviewing, then this might really appeal. However, it also left me with a weird feeling of incompleteness. The ending felt like it dropped off out of nowhere, like the story was done and wrapped up but there was no ribbon or gift tag. I'd have liked a little more at the end to really round out what happened beyond the immediate reveal but that's just me. Switches between character points of view can be really badly handled, but Barton managed to give each character their own voice. The thing about this I didn't like was the switches between first, third limited and third omnipresent person. This with the time switches of now, over the investigation and when the crime took place just jumped about a little too much and could be jarring enough at times that I was brought completely out of the story. But the story. Oh, the story. I'm pretty good at seeing twists and turns in plots, I've been reading mysteries since I was a kid, but Barton had me fooled. I constantly flip-flopped on who did it and what happened. Never once did I peg it completely and that is a good read. I can see this book being a book for someone who isn't a 'reader' or a really great holiday read because I challenge anyone not to get a sunburn when you're half-way through and can't. stop. reading. Fiona Barton has grabbed my attention with her first novel and I'll be keeping an eye out for future books. Want to buy a copy of The Widow? You can do so here! Have you heard of The Widow? Will you be reading it? Books I Read in.. February! Books I Read in.. January!